Binmaster manufactures point and continuous level sensors for measuring dry bulk goods in large storage silos to small hoppers and vessels. SOR manufactures mechanical level and electronic level switches for process contro. 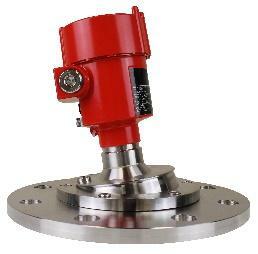 SOR also offers magnetic level indicators for visual tank level. These can be fully customized with swithces, transmitters, valving and bridles. 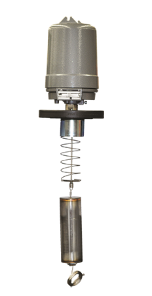 MTS Sensors manufactures magnetostrictive level transmitters for liquid level measurement including: level, interface, and temperature measurements in a single device. The BM45 provides simple, low-cost point level control with proven, lasting reliability. Designed f.. The BM65 provides automatic point level indication of free-flowing dry materials and can be used i.. 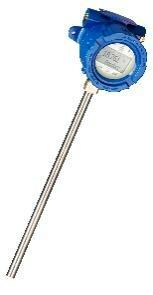 The BRMX rotary paddle bin level indicator provides reliable point level detection and measurement o.. The Compact Pro is a compact capacitance probe designed for tight spaces. It is used for high or low..
BinMaster’s most advanced rotary level indicator features a complete fail-safe system that alerts .. The mini-rotary alerts users to material levels in smaller bins and hoppers that contain plastics,.. Designed to alert when a chute becomes clogged with material, Binmaster's plugged chute detector fea.. The PROCAP I and II standard capacitance probes detect the presence or absence of material in contac.. 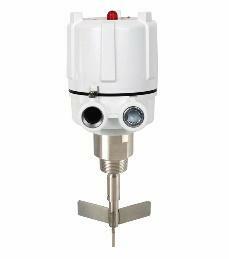 The BRMX rotary paddle bin level indicator provides reliable point level detection and measurement .. The CVR-600 is a compact vibrating rod that is ideal for small bins, hoppers, and feeders. It is eas.. The CVR-625 is a compact vibrating rod that is ideal for small bins, hoppers, and feeders. It is eas..
BinMaster’s most advanced rotary level indicator features a complete fail-safe system that alerts to..